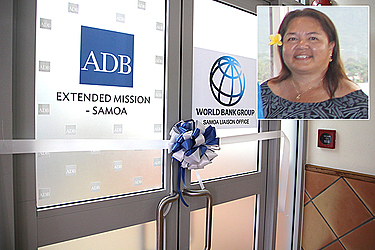 The Asian Development Bank (A.D.B) is in a position to do a lot more to help Samoa with the recent set up of its extended mission housed at the Central Bank Building. The woman in charge and Senior Country Coordination Officer, Tuala Maria Melei, said the set up is positive for Samoa as the Bank is now in a position to respond a lot quicker to the needs of the country. The Mission is designed to assist the government in implementing its development strategy until 2020. The strategy, titled Accelerating Sustainable Development and Broadening Opportunities for All, through activities outlined in A.D.B's Pacific Approach will focus on energy, information and communications technology (I.C.T), agribusiness, and public sector management. Tuala said the establishment of the mission had been in the pipeline for a while. “In 2010, there was a real need by the countries of the Pacific not only Samoa for an increased presence of both the World Bank and A.D.B. here because we do a lot of major infrastructure projects and they wanted us to increase our presence to help with implementation,” she said. “So due to that, we then decided with the World Bank to set up joint offices around the region. Tonga was the first country and Samoa is the second the one. 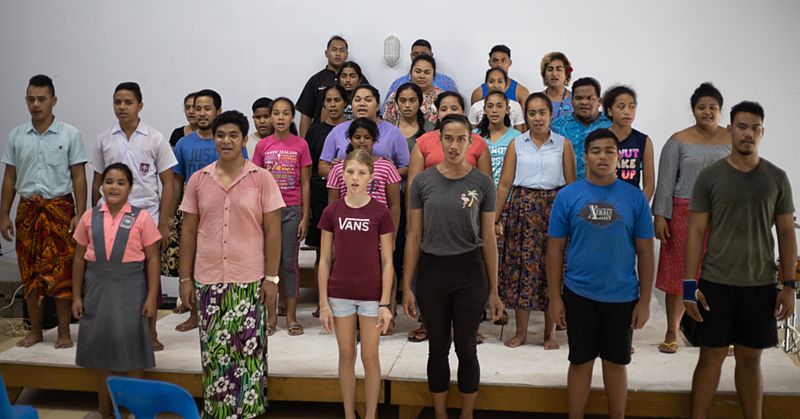 In 2015, the government requested A.D.B to increase its presence in Samoa. But how will this benefit Samoa? “I’m A.D.B staff and I am the country officer for A.D.B in Samoa so I manage our programmes of assistance. 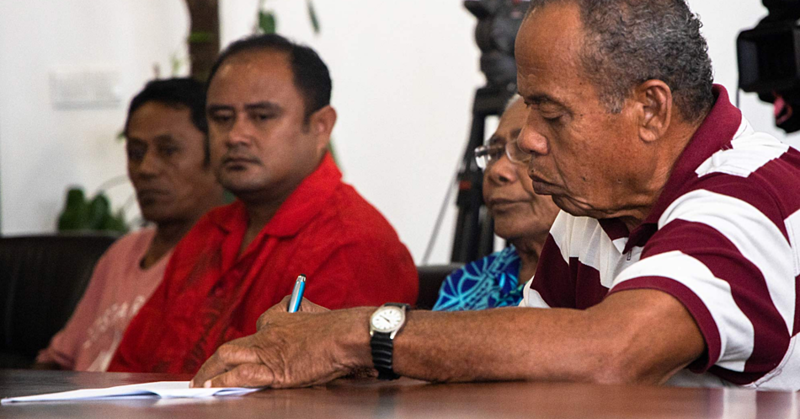 I do our programming discussion everywhere and then on top of that, I also implement a couple of projects like the Samoa Submarine Project that we co-finance with the World Bank, as well as the Renewable Energy Project so I implement those. “We can do more now. Before we didn’t because the office was a joint office so having that separate A.D.B office has kind of like given us the mandate to put staff in the country. “And because I manage those programmes, I sort of have the authority from my office to make decisions on state projects to higher approval of the government and our office. Tuala has worked for A.D.B for 11 years. “I was in the Fiji office for seven years and I worked in a number of different countries including Samoa and then I moved to Manila for three years,” she said. The A.D.B Office still shares some facilities with the World Bank office such as the conference room and mission areas. The A.D.B office has two staff members, just like the World Bank. In opening the mission last week, Prime Minister Tuilaepa acknowledged the assistance of A.D.B. “A.D.B’s financing has helped Samoa to achieve development results for the focal sectors it is engaged in,” he said. The Bank is working with the government to prepare for a renewable energy future by helping reduce the country’s reliance on imported fossil fuels for power generation by providing clean and reliable electricity. This is on top of the bank’s partnership with the government and its development partners — particularly the World Bank — to boost connectivity with I.C.Ts. The co-financed Samoa Submarine Cable Project aims to enhance low-cost broadband services to Samoa, strengthen the regulatory and legal environment for I.C.T, and facilitate e-health investment in Samoa. 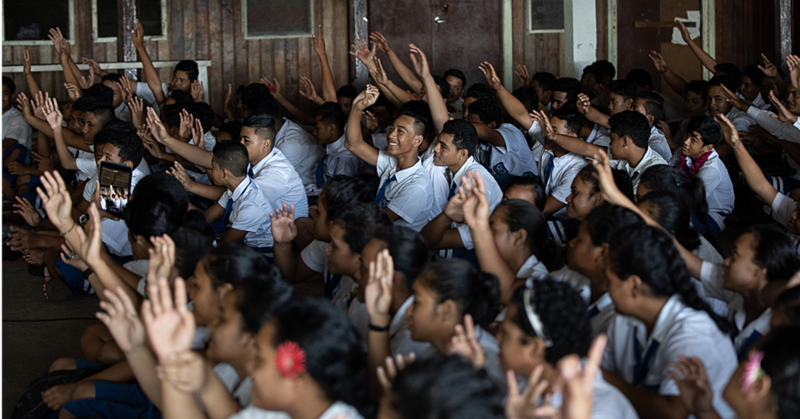 A.D.B is helping strengthen Samoa’s fiscal resilience and improve macroeconomic stability. The Bank also supports the private sector by helping public enterprises perform better, strengthening the enabling environment for business, and expanding access to financial services for farmers and business owners. A.D.B has been working with the government since 1966 and has approved $186.19 million in loans, $122.97 million in Asian Development Fund grants, and $31.31 million in technical assistance.